In March 2018, the Foundation laid out its new strategy for 2018-2030. The Foundation’s new strategy builds on its experience in financial inclusion and, education and training. It will monitor employment as a key indicator of our progress in reducing poverty for young people, particularly young women. The Foundation is currently working in 29 countries across Africa. By 2030, the Foundation aims to enable 30 million young people in Africa to secure employment that they see as dignified and fulfilling. 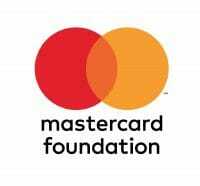 The Foundation’s funding and partnerships are concentrated in Sub-Saharan Africa and provide a combination of skills-building, education, employment, and access to financial services. The Foundation focuses in two programme areas. The goal of the Financial Inclusion Program is to expand access to microfinance and a broad range of financial services in order to improve the quality of life for people of all ages. These partnerships are building sustainable financial institutions, improving access to appropriate financial services for young people, and promoting responsible finance. The goal of the Youth Learning Program is to prepare young people in Sub-Saharan Africa to engage in the economy and lead change in their communities. These partnerships are scaling access to education, developing skills of out-of-school youth, and connecting youth to jobs.